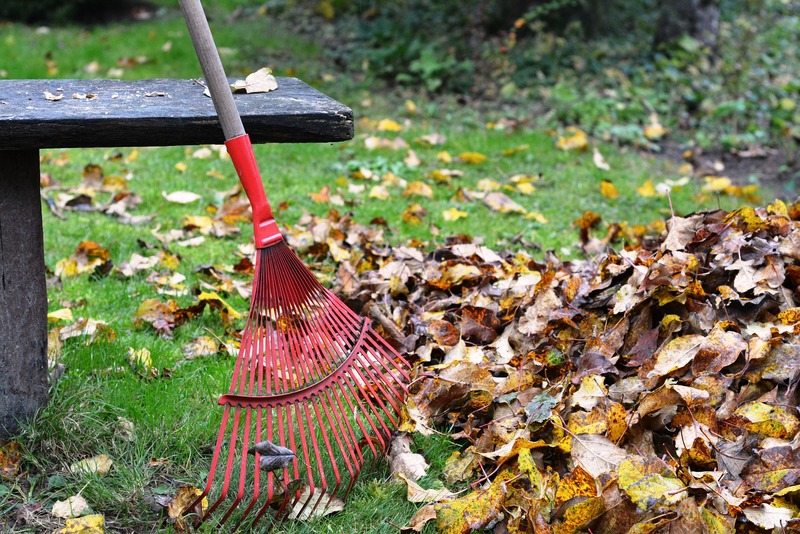 Fall Yard Cleanup and Landscaping Necessities - Fox Hollow Landscaping and Design, Inc. When summer ends and the days begin to get shorter, we start spending less time in our yards and more time indoors. However, there is plenty to do outside in the fall to ensure that when spring returns, you will have a healthy lawn and beautiful flowers. To accomplish this, the best thing to do is to follow these fall yard cleanup and landscaping necessities. The cold temperatures of New Jersey winters mean that your lawn and plants need protection from the harsh weather. You will reap the benefits of the work you put in now and save yourself a lot of time and hassle when the warmer weather rolls around again. Don’t let your landscape fall victim to the harsh elements and instead take the time to look after your lawn now. Let’s see how you can best look after your lawn this fall with the perfect yard cleanup and landscaping guidelines. Your lawn needs to be aerated so that water and fertilizer can get to the roots. This can be done either with a garden fork or a walk-behind aerator if your lawn is large. Once you have aerated, it’s important to fertilize your lawn. The best fertilizer to use is a high-phosphorous mix as it helps the grass roots grow. Don’t wait until winter to do this because once the temperature falls below 40° F, the grass stops growing. Be sure to keep mowing your lawn until the first frost arrives. 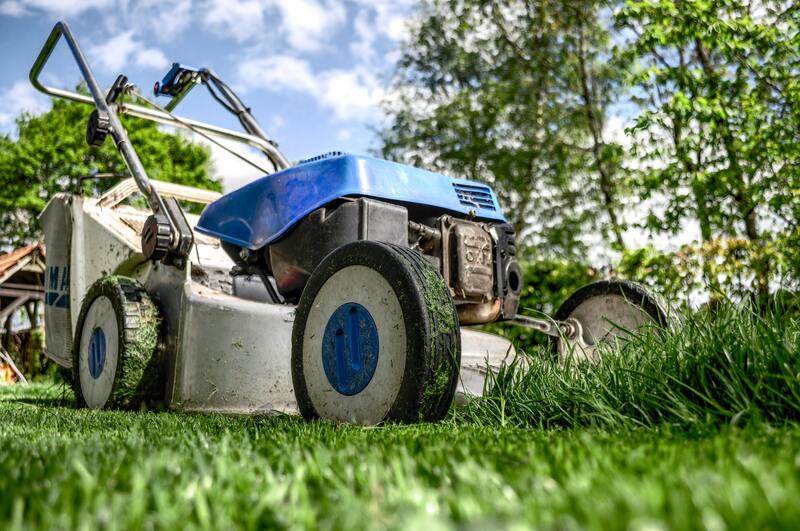 For your last mow of the year, it’s a good idea to use a mulching mower because mulch will help keep nitrogen in the soil throughout the entire winter. Another essential fall yard cleanup and landscaping task is cutting dead branches off your trees. Dead branches can cause a lot of damage if they break off during winter snowstorms and winds. Not only can they be harmful to your plants, they can be dangerous for anyone spending any length of time in your garden too. It’s critical to get rid of fallen leaves and weeds as they can attract insects and rodents, which carry the risk of disease. Also, fallen leaves can smother the grass to the point of death and you’ll end up having to completely replant your lawn in spring, costing you time and money. Don’t forget to check your rain gutters for leaves and other debris to prevent blockages and flooding, which can cause a lot of damage to your garden. A great way of dealing with the waste is to put the debris into a compost bin and aerate it each week. This mulch can be used the following spring on the lawn and in the flowerbeds to keep your landscape healthy. Fall is the ideal time to plant new shrubs and bulbs that will be ready for blooming in the spring (such as hyacinth). This gives the roots time to get established and will be an exciting pop of color once the weather warms up. It is also advisable to put mulch made of leaves, wood chips, or weed-free soil on young plants, as it helps to keep the plants warm during the cold winter months. You can do this after a light frost, but before the ground has frozen. When it comes to plant and shrub care, be sure to trim back perennials and get rid of annuals. While doing this you will also be getting rid of any snails or slugs that might feed on your plants. Fall is the time of year when these pests breed profusely. You can also plant fall annuals, such as mums or ornamental cabbage, which will add a little brightness to your yard at this time of year. The final fall yard cleanup and landscaping job is to dry out your drip systems. You don’t want to have frozen water in your pipes, as that will destroy your irrigation system. Try using an air hose to ensure you blow the water out fully. With your fall yard cleanup and landscaping complete, you can sit back and relax for the winter knowing that your yard is properly winterized. And, with this prep work aside, you won’t have nearly as much to do when the warmer weather arrives. For help with getting your garden ready for winter and getting through your winter preparation needs, get in touch with Fox Hollow Landscaping & Design and let our experienced and knowledgeable team help you with your fall yard cleanup and landscaping.